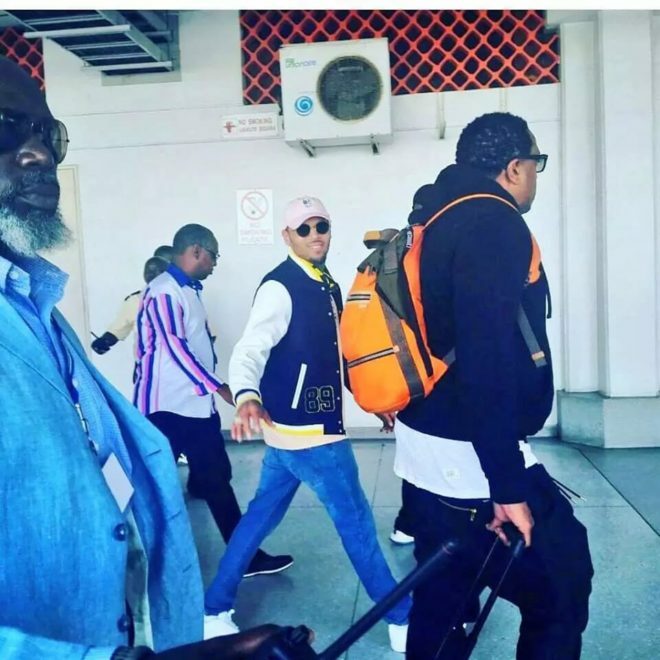 Controversy has greeted Chris Brown’s arrival in Mombasa following reports that the American singer grabbed a fan’s mobile phone and smashed it on the ground as she was taking pictures. The incident happened on Saturday morning as the musician was about to board his car at the Moi International Airport. The singer is in the coastal city to perform in a concert dubbed Mombasa Rocks which goes down on Saturday night at the Mombasa Golf Club.